Information Builders debuts Care Insights, Payformance Solutions unveils TrustHub software-as-a-service system, and VirtualHealth and SAS team for “whole person” care. 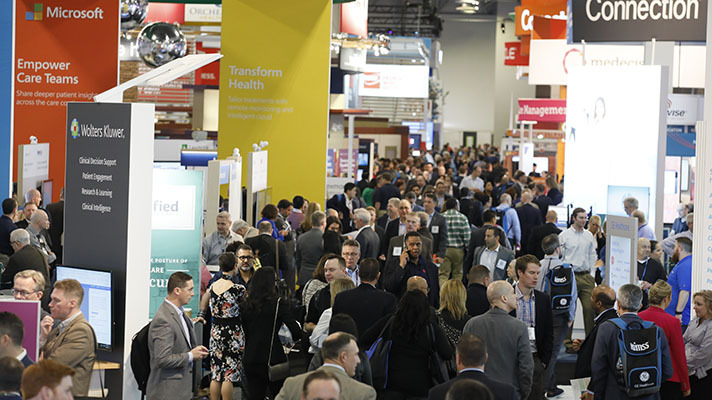 Business intelligence and analytics vendor Information Builders at HIMSS18 launched Care Insights for the Omni-HealthData 3.0 platform. Care Insights draws from Information Builders’ affiliation with St. Luke’s University Health Network and its deep understanding of data technology and the implications for effective and efficient healthcare practices, the vendor explained. It is the latest addition to Omni HealthData Insights’ portfolio of applications, which, together with the Omni-HealthData 3.0 platform, are designed to give providers and payers a comprehensive view of the healthcare practice, including patient, employee and member data. The idea behind Care Insights is to give healthcare’s front-line workers the data needed for value-based care and population health initiatives by supporting the analysis of populations, care management, clinical and financial outcomes, provider performance, payer contract performance, quality, and cost. Using the system, healthcare providers like St. Luke’s can focus closely on quality and utilization data across their network to monitor patient cohorts, create quality benchmarks, and identify opportunities for improved patient care. The system is built on the foundation of Omni-HealthData’s repositories and leverages its automated support capabilities for third-party grouper integration and pre-built metrics and algorithms to pull data from existing information repositories. With the new Care Insights, the company said, healthcare professionals can evaluate key metrics via an executive dashboard, and access reports, analytics and data visualizations for insights on population and care management, network evaluation and provider performance, quality performance, efficiency, and contract performance. Meanwhile, Payformance Solutions, a vendor of value-based reimbursement systems and services, announced at HIMSS18 the launch of its new TrustHub software-as-a-service system. TrustHub enables greater scalability of value-based reimbursement programs by assisting provider organizations and health plans with the design, measurement and collaboration of these programs as a neutral third party, the company explained. For providers, TrustHub offers tools to design, contract and participate in value-based reimbursement programs, along with real-time statistics with the aim of making it easy to monitor performance and measure impact on cash flow. For payers, TrustHub supplies a set of systems and services – including analytics, reporting and payment optimization solutions – that allow for flexibility and agility in establishing and administering value-based reimbursement programs. Payformance Solutions’ mission, the company explained, is to establish a new handshake between providers and payers by systems that deliver efficiency, predictability and consistency in value-based care programs while aligning providers’ and payers’ financial goals with patient outcomes. Vulnerable populations are uniquely complex, frequently requiring tightly coordinated interaction across multiple systems such as hospitals, social services and housing to be effective. A “whole person” care approach looks across all clinical, behavioral and social determinants of health at the individual level and curates a single, comprehensive view of an individual’s total health risk for all members of their care team, the companies explained. By efficiently collecting, sharing and distributing actionable health information across the entire care team, VirtualHealth seeks to improve both care and quality of life while reducing costs. Through the collaboration, VirtualHealth will combine its whole person view with the visualization and analytics capabilities of SAS, such as artificial intelligence and machine learning. This functionality calculates risk with both clinical and behavioral data, identifies population risk changes in real time, and alerts care teams to priority issues and actions. VirtualHealth is in Booth 11543 and SAS is in Booth 7807.